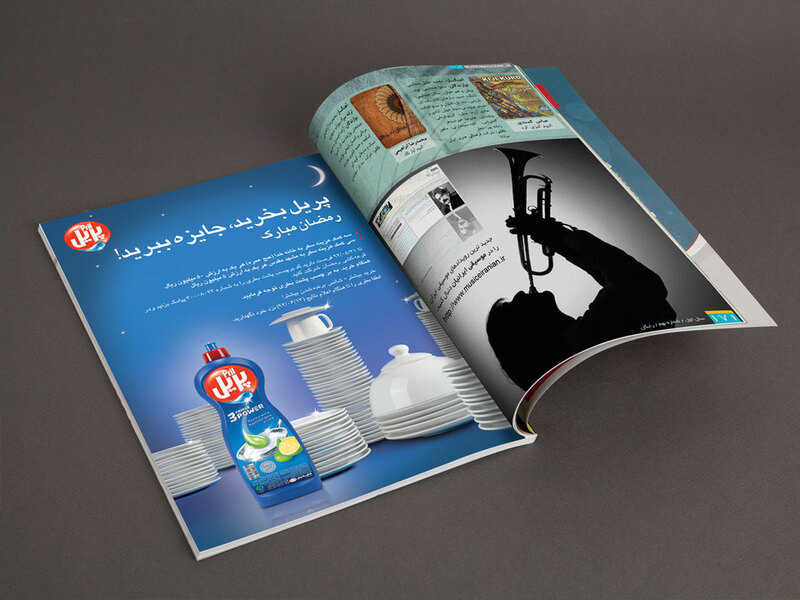 To increase sales using the opportunity of changing target’s attitude on purchasing the products in this month and link the product to the holly nature of Ramadan. Communicating the strong branding of Pril. 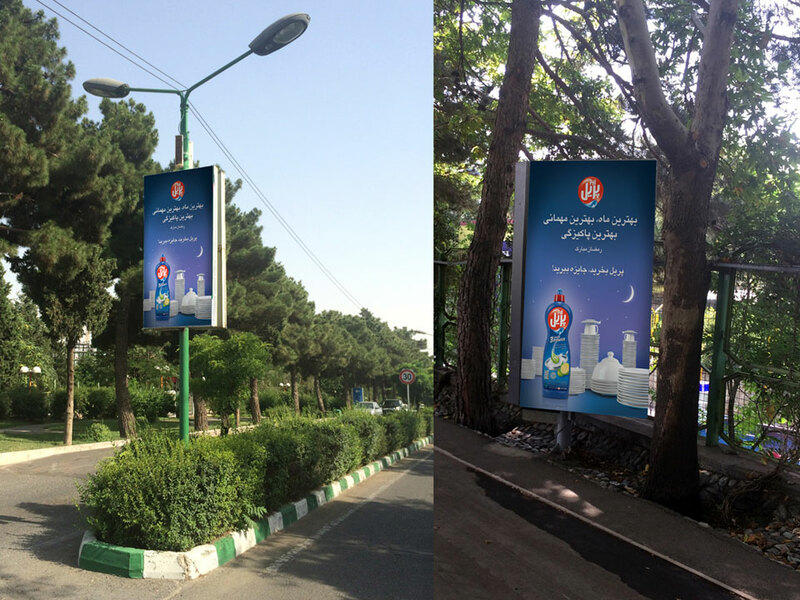 vTo establish a promotion campaign with a simple mechanism. For this propose, a scratch & win sticker was designed. The participants should just forward the code via a SMS which the number was also announced in the label. 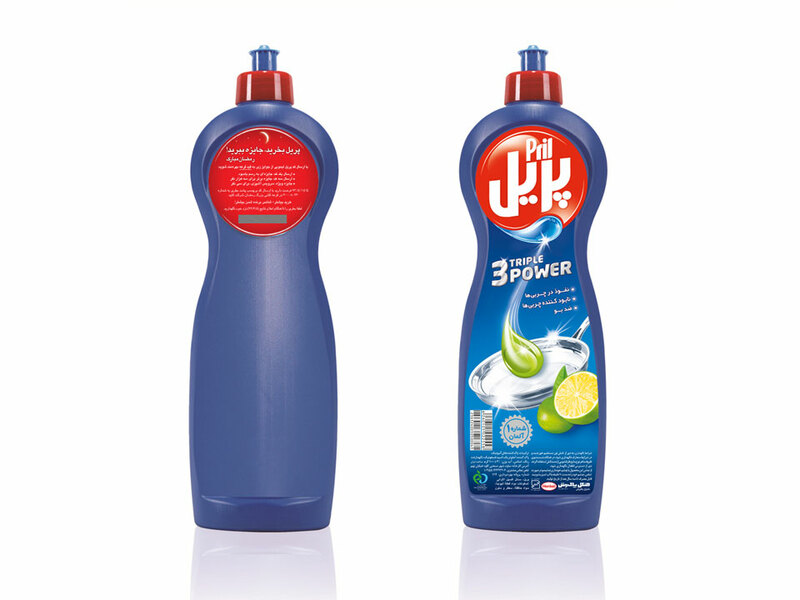 Buying more products, increasing more chance to win the prize. The considered prizes were related to the sense of purity and holiness of this month. 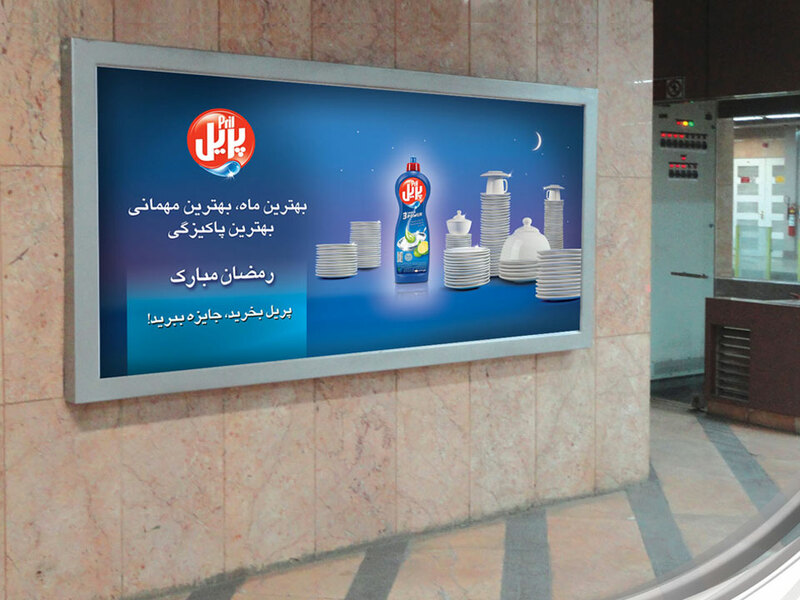 This promotion was informed via main mediums such as TV (tagline & invite to watch), ad magazine, billboards in different locations and point of sales (Metro, Enqelab complex and Hyper star in Tehran, Shiraz & Isfahan) accompany with other BTL activities. 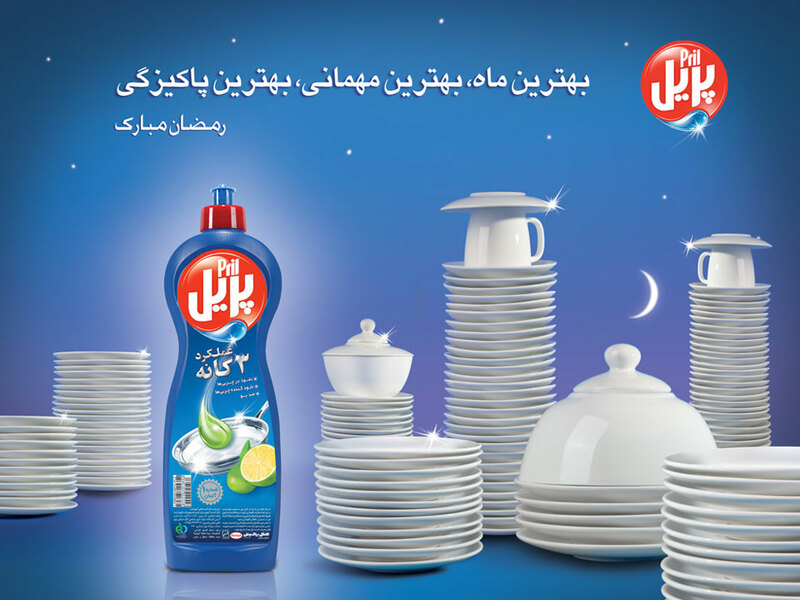 Linking the sense of cleanliness of this month and the USBs of the product in the MV was the key engaging the target.